Overall Condition Fair to poor. 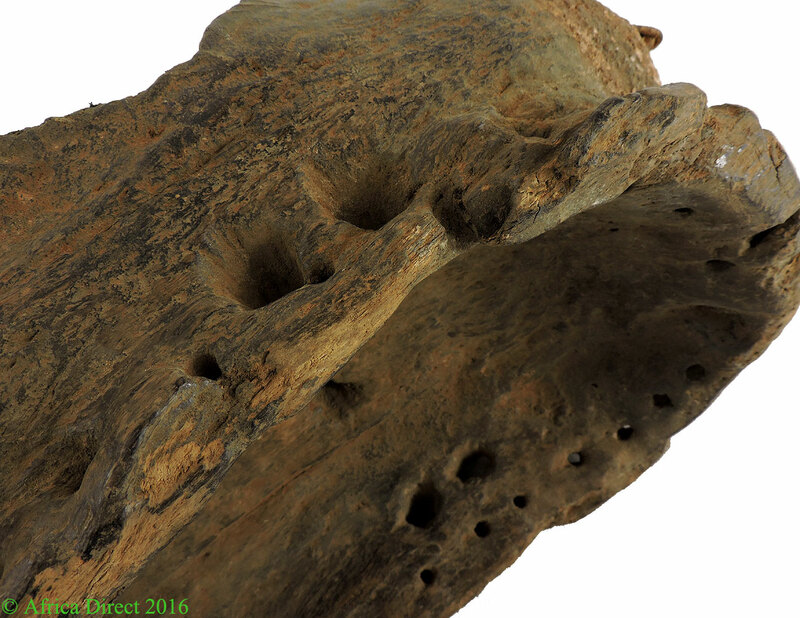 Most of our pieces have spent decades on at least two continents, and have been treasured by several owners. Small splits, scrapes and cracks are a normal part of their patina attesting to their age and extensive use. We examine each piece carefully when we receive it and report any damage we find in our listings. Please look carefully at the pictures which may also reveal condition and damage. Additional Information: An expressive and large face mask with exaggerate details. The chin area has series of brass bells attached to the remain of a costume made out of cotton cloth and vegetal fibers. 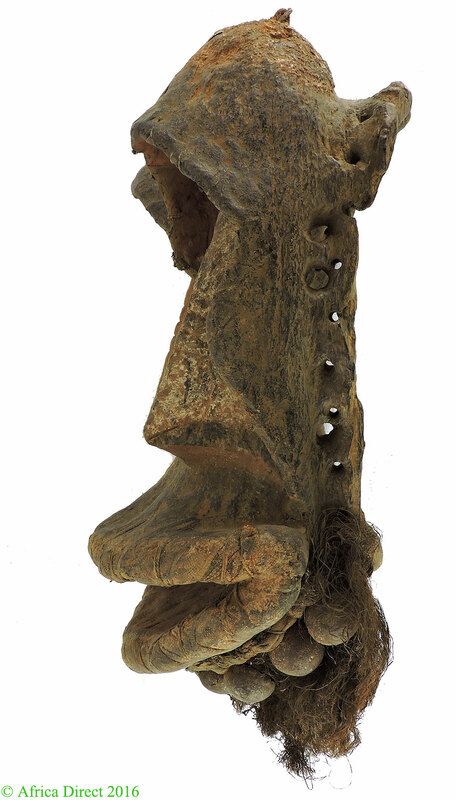 The face has two pointed noses and a very large open mouth. 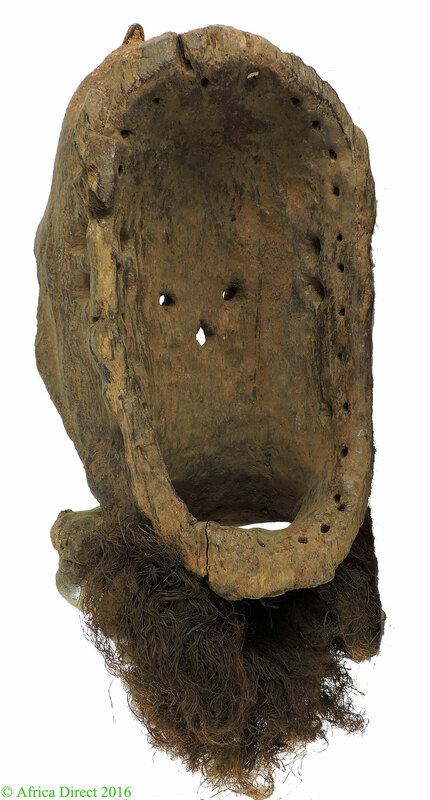 The surface of this mask shows significant traces of use. 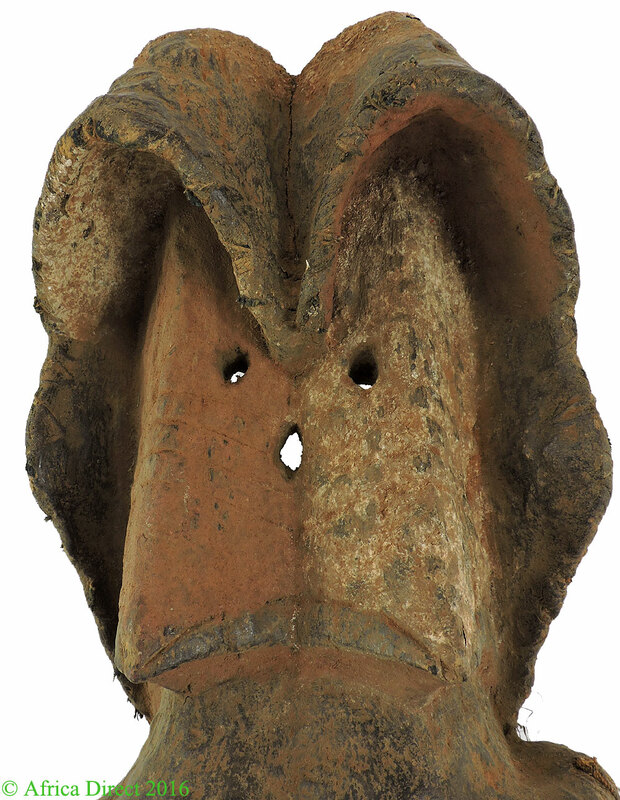 This mask is identified as Dan mask, but it could come from the Guere or Wee people. 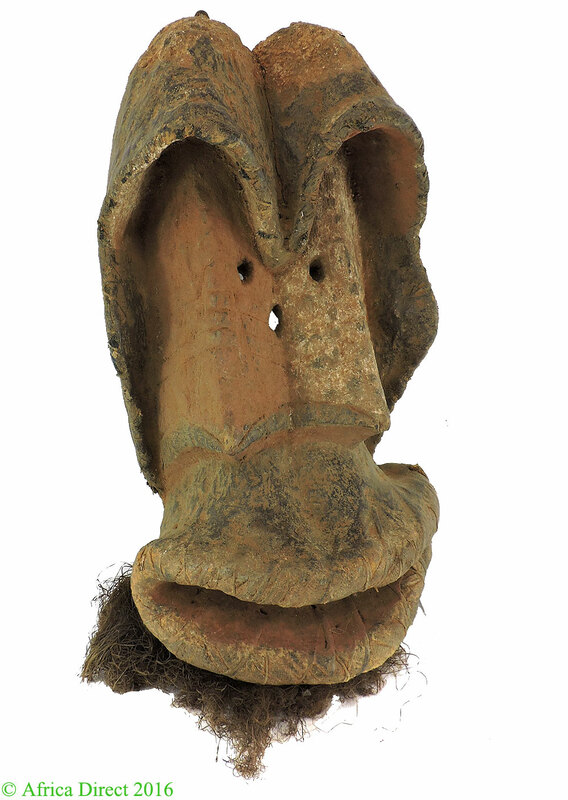 Representing a Ge, who is a spirit, this mask would serve as a visible symbol manifesting power, principles, and as a "spirit of the bush" to maintain social order, initiate the young and punish wrongdoers. They are used by the men's secret society called Poro-the enforcing arm of local authority.. 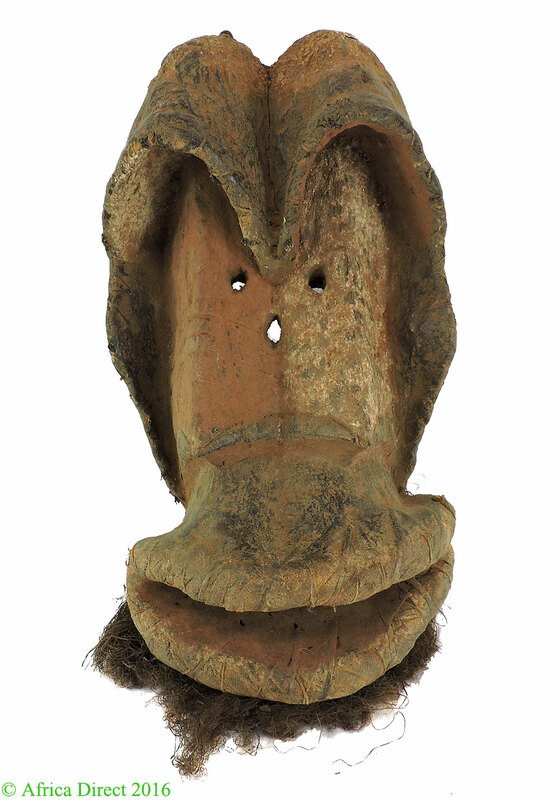 If truly Dan and with open round eyes and teeth in mouth, this mask would be identified as a Zakpai ge’ mask, an active and aggressive mask that serves a number of functions. Its primary role is that of a ‘firewatch’ mask that insures proper use of cooking fires by women. Accompanied by drums it confronts a woman who has been using fire carelessly or a fire much too large for its purpose. It appears in a very aggressive dance and will throw sticks and things about, knock over the cook pot with their meals into the fire and may even beat the women who set the fire to cook. Not a friendly mask at all. It also in some areas serves as a war mask. When used the mask had a cloth wrap around the outer edge that covered the dancer when wearing the mask. 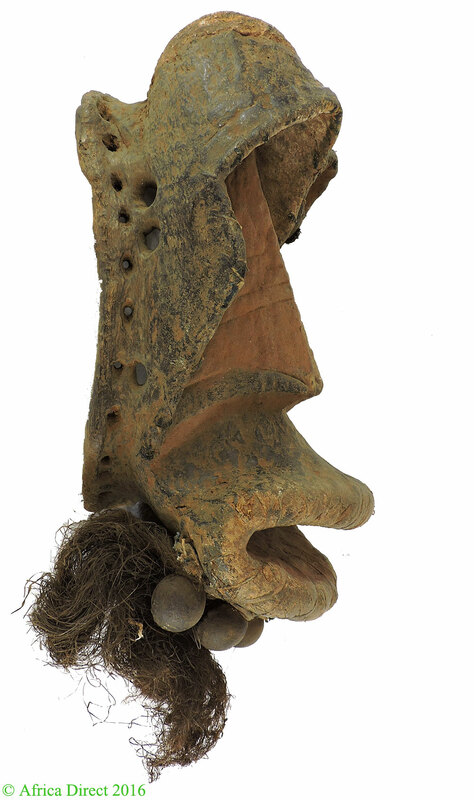 The few holes around the edge of the mask were used to hold a woven netting to keep the mask close to the face during the vigorous ‘dance’. E. Donner: Kunst und Handwerk in NO-Liberiaí, Baessler-Archiv, xxiii/2-3 (1940), pp. 45-110.